A very popular Bourbon that is becoming increasingly difficult to track down. Produced by Heaven Hill distillery, this Bourbon is named after an Irish immigrant to Kentucky, who brought with him a good deal of distilling nous. A single barrel whiskey, each batch is slightly different, meaning that the drinker enjoys a unique experience every time they stock up. 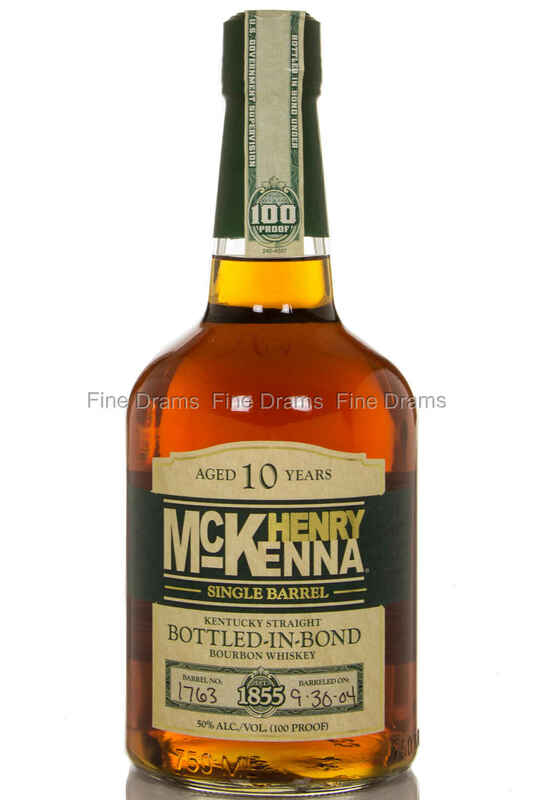 The whiskey has been bottled-in-bond, which means it is the produce of one distilling season and one distiller, has been bottled at 50% ABV, and can have no additional ingredients. The phrase is a throwback from the late 19th century, when mysterious substances were often added to whiskey, yet it remains a sure-fire sign of quality. This is a rye-forward dram, with plenty of aggressive spice up front. Drinkers should expect notes of orange peel, vanilla, menthol, toffee, charred oak, foam bananas and some slight stone fruit. Makes a fantastically bold Old Fashioned, and is a great illustration of how good Heaven Hill’s spirit can be.